We’re moving our experimental branch to default today. 0.6.19 will become 0.7.19 The update below will go over what we’ve been up to. Along with what has changed in 0.7 and what to expect in 0.8. This is a big update for the team. We’ve said from the start that Survive the Nights would be as optimized as possible. We’ve kept optimization in mind while developing. We’ve also learned a lot since we started development. We’ve done our best to maintain a standard when it comes to keeping things optimized, however as always, things can slip. It’s not just a loss of attention, everyday the team learns something new. 0.7 focuses greatly on optimizations but it’s not only optimizing we’ve been working on. Quite a bit more has gone into the project backend wise and will require a great deal of testing. You’ll find our current changelog below, it’s a great way to hunt for bugs. As always please leave any issues on our tracker so we can get them fixed! We’ve also spent a great deal of time focusing on quality of life improvements in game. From improved player spawns to containers showing a inventory preview in our small UI box. Below you’ll find a list of fixes, improvements and additions that have been made for 0.7. Below that, you’ll find some information about 0.8 and our plans for the future. Reduced overall size on disk for game from approximately 10.5gb to 8.5gb. Lock hasp and staple visualization no longer casts shadows. Improved initial player spawn locations to create a more immersive new character experience. Optimized shader parsing during environment load which was causing spikes in performance. Asset pre-loader added which pre loads assets during first load into game. Helps with large lag spikes caused by initial load of assets. Enabled v-sync by default which limits frame-rate to 60fps and stops the GPU running at 100% usage unnecessarily. A project wide review and optimization of over 3500 textures. 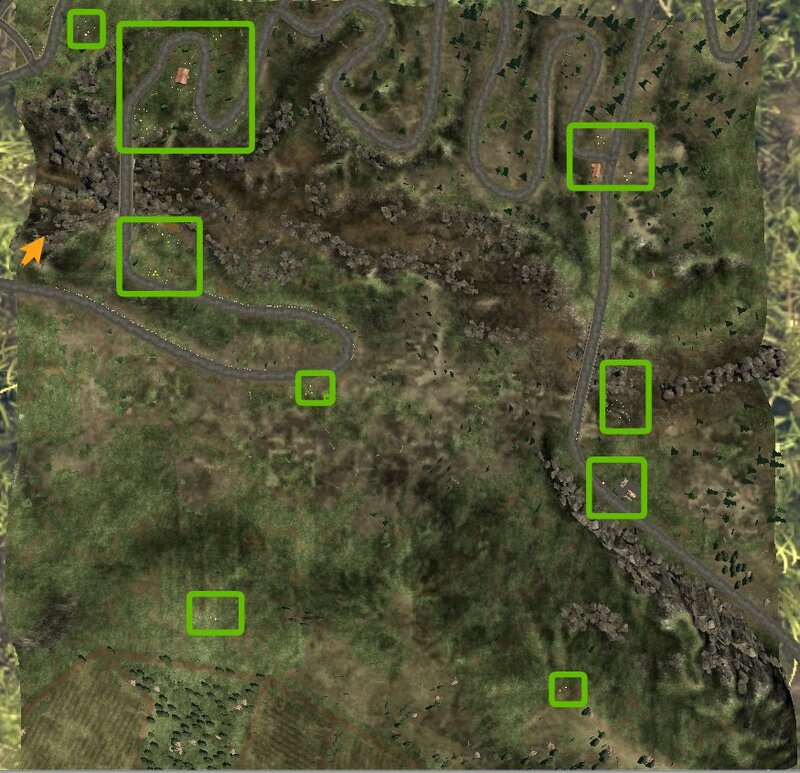 Added two hospitals to the map and relevant surrounding design. Added signs to police and fire stations. New signage added for police station. Can be lit with electrics. Added hospital building to the game. Added locker variants. School and armory types. Engine Upgrade to Unity 2017! After being in unity 5 for over a year, we felt with this update it was time to upgrade to newer version the engine. This will allow us to take advantage of newer features/optimizations and not fall behind on supported Unity builds. After extensive testing of the newest unity releases, we felt that Unity 2017 LTS (Long Term Support) offered the best upgrade and stability at this time. Listed below are some of the advantages of upgrading the engine. Culling of shadows casters in 2017 has been optimized. This means there will be less objects casting shadows resulting in better performance. Improved filtering algorithms should also improve the look of the shadows as well. The new unity update also includes improvements to the loading times of scenes and asset-bundles. These changes and several other small fixes we've made should help reduce the lag spikes when walking around in the world. 0.8.x and What's to Come! We're very excited about our next update. The 0.8.x update will introduce our first iteration of window fortifications. The player will be able to attach fortification materials to window frames and door frames. We'll introduce the feature with multiple plank types along with sheet based materials such as plywood and corrugated tin. Below you can see the system in the works. Ignore the blue highlight, that's backend stuff. The player will simply walk up to a window with the proper tool in hand and if they have the required fortification materials it'll come out and snap to the window. The player here is switching (ignore textures) through plank types. Weak planks (harvestable via fences and wood piles) vs stronger planks crafted from felled trees. We'll also include sheet materials like tin/plywood. Just a short example of how boards can be manipulated once snapped to a window frame. This should add quite a good deal of customization adding the ability to totally cover windows or create space for shooting/viewing. Here's the mechanic a bit further along showcasing the on plank UI. This will let the player know exactly what type of plank they're adding, how strong it is and how many they have. If the player highlights an already placed plank, it will show the player that planks current strength and that they can add nails to improve it. Of course now that windows are fortifiable, zombies will have to get through them. Below is a gif of the logic going into making that happen. You'll notice our off navmesh link orbs in the gif, this allows the AI to move through the opening and it's part of our test scene. This is a showcase of the logic. Eventually zombies will come through openings in many ways with the addition of more animations. Defensive traps will also be introduced in 0.8.x. With that in mind, work has been going into environmental damage. Below you can see both the player and a zombie taking fire damage. We've also smoothed out placement system, objects (traps included) will now follow the terrains contour on initial placement. Smoothed object placement snapping to terrain regardless of it's angle. The logic behind player damage via world objects like fire and traps are now working. We've introduced new a new spawn point system in 0.7.19. We'll be slowly introducing points of interest at these spawns in the next couple of updates. The player should begin spawning near stuff making initial gameplay a bit more exciting. Orange arrow is one of the spawns. All the green boxes are additional structures or design. Just off a fresh spawn, small areas like the one above will also have road signs pointing towards the nearest towns. Some of you might have caught some of these screens and gifs in our DEVBLOG. We'll do our best to get smaller updates out every week (unless we're releasing a proper update like this). These updates will serve to provide our supporters with up to date information, showing some of what we've been up to each week. As always, thank you very much for the continued support. The project is really starting to shape up and the team is very excited for the future. Feel free to drop into the Discord and talk with us one on one! Epic job as always team. Thank you. Looking absolutely great! Very excited for the quick work the team is doing, very nice! Sorry I haven't had much to talk about for a while. I spent a couple of weeks waiting underneath a tree. My nose led me there, and I could swear I heard the beautiful sound of delicious meat brushing against the branches. Some of my brothers eventually joined me. We pushed over the tree and frantically devoured the treat. It must have been a trap, because a sister swallowed some kind of rope. She looked so alive, the way she tried to get free. We left most of her there but I got a new chew bone. I'd eaten through my last one, sitting under that tree. Then it got cold again. I was stuck in a snow drift, watching the sky get dark and light over and over again. It reminded me of a kid playing with a light switch, except in slow motion. The snow covered my face and I felt even slower. I came to my senses all of a sudden, when a bucket crashed into my shoulder. Do they still collect snow and melt it to drink? I needed a drink of warm blood. My frozen arm nearly came off when I grabbed at it. The meat was lean and tough, but those brains were the best thing I could have asked for. Anyway, I wanted to tell you about something interesting that happened. I was rummaging through a locker in the fire station because I smelled something. I usually wander through the town looking for fresh meat. I don't know where fresh meat comes from, but I can't complain. So I fell into the locker for some reason. Maybe I was pushed, I don't know. I can't feel much any more. I managed to turn myself around and could see out through vents, but no amount of pushing could get the door open. A while later, some fresh meat came by and let me out. I don't know what he was planning to do with the fire axe but the look on his face was incredible. I didn't want to share, so I dragged my dinner to the trees behind the fire station. I saved his face for last. Games very fluid with the update, fps seems good with no noticeable major drops. Plays well, not seen any note worthy bugs. Needs more content. The new Unity engine has helped. The stage is set for fortifications and onwards. Wow what a change! I haven't played in quite some time, but I like that your work hasn't slowed a bit. There were two main issues that were making it difficult to keep me playing: low number of POI's compared to the size of the map and a lack of tasks to do at night. 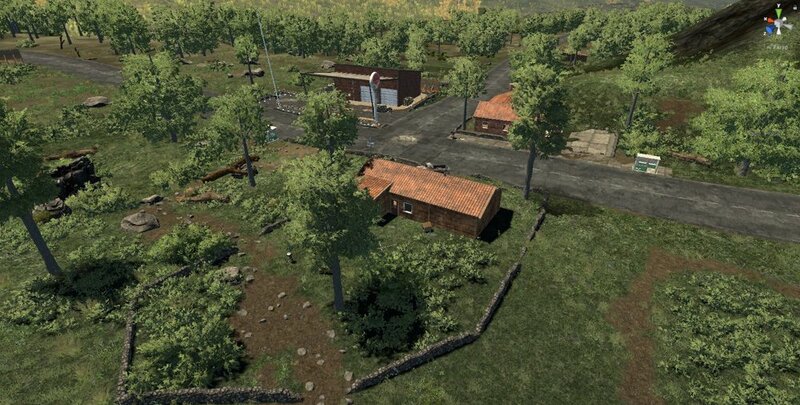 I see now that both of those are being addressed, with the addition of these new buildings/spawn points and the fact that we now have to watch out for zombies getting in our houses! Very excited to start up another game.